Here’s the deal. You’ve got clam people and you’ve got oyster people. Now a clam chowder, rich with cream and potatoes can be downright yummy. Oyster chowder on the other hand, elevates the dish to its apotheosis. This collection of oyster chowders proves the point with recipes that include fresh oysters, smoked oysters, bacon, spinach, stout, corn, cauliflower, shrimp, crab, snapper, and even get this: clams! Dig into the best collection of oyster chowder recipes from your favorite magazines, cookbooks, chefs and food blogs, right here. 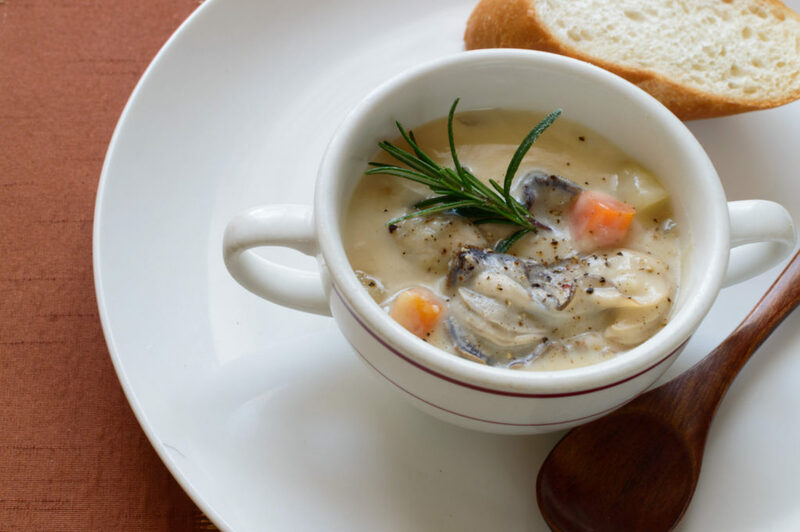 Your Oyster Recipe of the Day: Stout, Oyster and Bacon Chowder. Here it is again–oysters and beer! Some couples were just meant to be together.